It is five years since the launch of Nokia's first Windows-based Lumia phone, but that wasn't Nokia's first foray into mobile Windows devices. Five years before that - a decade ago this month - the Finnish giant announced the Nokia 330 Auto Navigation system. The Nokia 330 ran Windows CE 4.2 and sported a 3.5" touchscreen with 320 x 240 pixels, quite unlike anything else in Nokia's line-up of the time. In addition to the pre-installed maps, you could install your own media files on it so if you wanted you could use it as an in-car MP3 player. The Navigation system was a customised version of Route 66. Standalone GPS devices were a big deal at the time, with market leader TomTom shipping their improved TomTom GO range. However, the Nokia device offered good value and many people were tempted to try it, convinced by the name on the front that the would be buying a good product. They were wrong. The problem was map updates, which to be fair is always a problem with standalone navigation units. Normally you have to connect the satnav to a PC and load new maps on that way, and sometimes the maps can be expensive. But it seems that Nokia never made map updates available, and because it wasn't the standard version of Route 66 then you couldn't get updates from there either. The Nokia 330 (which retailed for over €400) rapidly ended up being as useful as a paperweight. 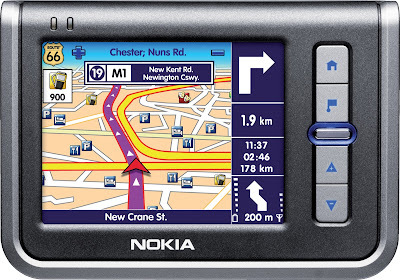 Nokia never made another standalone satnav device, but in 2007 they acquired digital mapping firm Navteq for an eye-watering $8.1 billion. 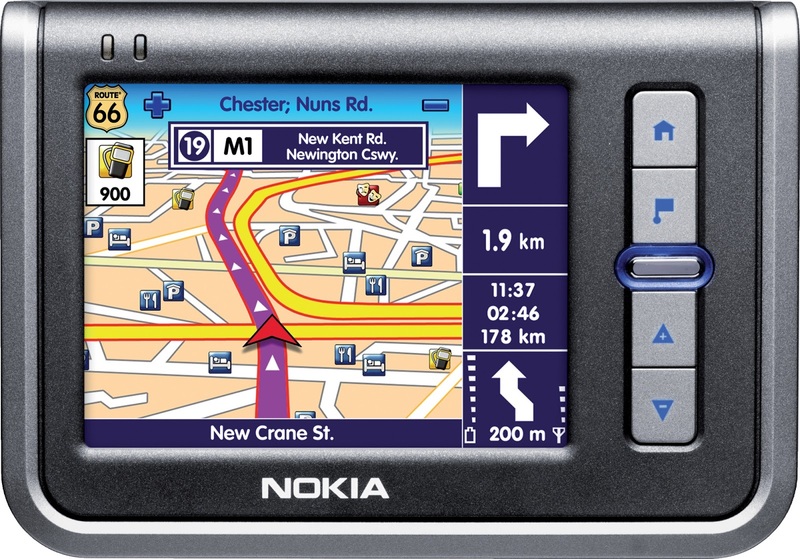 Nokia then successfully added mapping technology to their own devices and also sold mapping data to others. Eventually the old Navteq business became HERE which remained with Nokia until December 2015 when it was sold to BMW, Mercedes and Audi for €2.8 billion.